Dubai: Pakistan will issue UAE citizens visas on arrival as part of a new visa reform policy being introduced in the country, the Minister of Information Fawad Chaudhry told Gulf New in Dubai on Sunday. The minister said the Pakistan Cabinet approved the new visa regime this week, but the list of the countries to be provided e-visas and visa on arrivals will be announced after January 31. “The UAE will definitely be included in the list of countries whose citizens will be granted visas on arrival,” Chaudhry confirmed, adding that details will be announced as soon as all arrangements are in place. The Information Minister came on a two-day private visit to the UAE accompanied by Zulfiqar Bukhari, Special Assistant to Prime Minister for Overseas Pakistanis and Human Resource Development, to promote Pakistan Super League (PSL) matches which will be held in the UAE from February 14. They asked Pakistani expatriates to make the event successful by going to the cricket matches in large numbers. countries will get the e-visa facility in Pakistan. “By introducing a new relaxed visa policy, we want to open up our country to tourists from around the world as Pakistan has been a ‘closed’ country for the last 70 years,” said Chaudhry. Now, he said, there would be no restrictions on visas for journalists and also there will be no restricted areas for visitors. “Tourists can now go anywhere in Pakistan, they don’t need no-objection certificates (NOCs) anymore ,” Chaudhry said. Visas on arrival will also be provided to Indian-origin British and American citizens holding United States or United Kingdom passports. The duration of diplomatic and student visas has also been extended from one year to three years, and one year to two years, respectively, while visas for religious purposes will remain valid for 45 days. Tour operators who are approved by the International Air Transport Association (IATA) will now be allowed to bring groups of tourists to Pakistan. 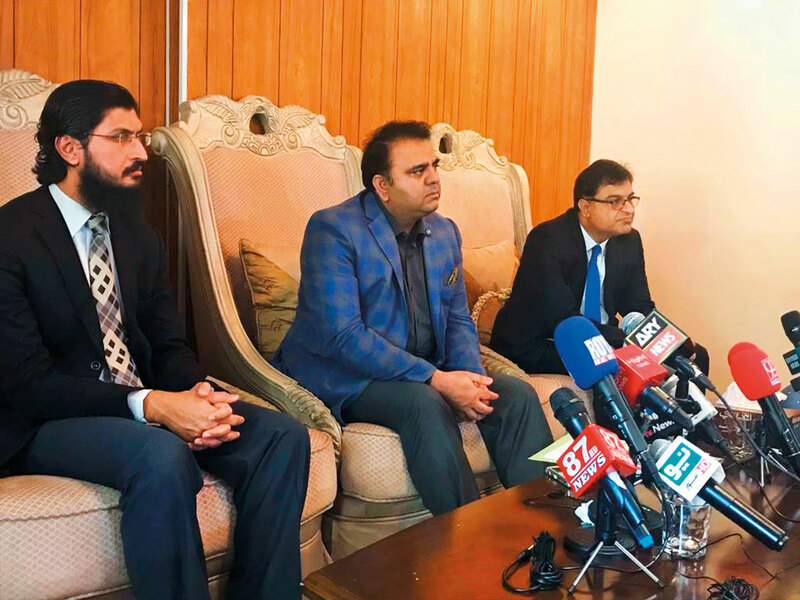 Chaudhry said Prime Minister Imran Khan had given clear instructions to diplomatic missions abroad to stand behind overseas Pakistanis and tackle their issues carefully. “Pakistani expatriates are in fact the support base our party – PTI and the Prime Minister has instructed the missions abroad that Pakistani workers should not feel isolated. “It will be tough for diplomats to retain their jobs at foreign missions if they fail to cater to overseas Pakistanis especially blue-collar workers,” he made it clear. He said mission staff will have to improve their working to serve the expatriate community. You will soon feel a sense of ownership. The government is standing behind you and you have to stand up for your country and serve it in whatever capacity you can. Hundreds of blue-collar Pakistani workers were surprised to see Zulfiqar Bukhari, Special Assistant to Prime Minister on Overseas Pakistanis and Human Resource Development, at their accommodation in Dubai on Saturday. The visit was the first of its kind by any minister in Imran Khan’s government. He said the aim of his visit is to understand the problems of Pakistanis working in Gulf countries.